SPECIAL REPORT / New rules to promote a Single European Payments Area (SEPA) will be presented this month, but the EU executive faces cultural as well as regulatory hurdles in attempting to promote online and mobile payments across the EU. The European Commission is set to publish its update to the Payment Services Directive (PSD II) aiming to level the playing field between incumbent card, internet, and mobile payments services providers, and new providers entering a rapidly changing market. The EU executive wants such payments to reach a broader market and proposes measures to bridge standardisation and interoperability gaps across countries that still maintain strictly national markets in relation to rules for payments. The draft proposal, seen by EURACTIV, identifies lack of standardisation and inter-operability between different payment systems – cards, the internet and mobile phones – and cross–border differences within the EU as a challenge to SEPA. One of the key challenges facing the EU executive is not regulatory but cultural, with widely varying payments habits across member states reflecting different national traditions and behaviours. In the United Kingdom, where payments cards are more frequently used than any other EU country, credit and debit card spending is set to almost double over the next decade, according to a report issued this month by the by the UK Cards Association, an industry trade body. In 2012, nine out of 10 UK adults carried a debit card, equating to almost 47 million debit card holders across the country. The number grew by around a million compared with 2011, a figure that is in line with growth seen over the past decade. Innovations in technology which make card use more convenient will drive the upswing, the report said, helped by younger people who have grown up with cards and are already in a strong habit of using them. This reflects a global “payments readiness” index compiled by MasterCard which shows a wide variety of people across Europe who regularly use mobile payments. The index earmarks the UK as a likely testing ground for future mobile payments in Europe. “The United Kingdom much more closely resembles the United States, Canada, and Australia than it does Germany, France, and Italy,” according to the index. By contrast mobile payments in Italy “remain in the nascent stages from both a market and a consumer-readiness perspective,” the index shows. Although the index points out that financial and regulatory hurdles in the Italian market bear some responsibility, it also emphasises that Italian consumer attitude are more cash-friendly. “Consumers will require significant education and marketing efforts to raise both their awareness of and willingness to use the technology” if they are to catch up, the index says. The British-Italian comparison is reflected in broader differences between the EU's eastern and western states. The use of modern payment methods – whether cards, mobile or internet – reflect the findings of the Europe B2C Ecommerce Report 2013, which showed the largest European countries like the United Kingdom, Germany and France dominating the market. However, it also found that the fastest-growing markets are in Central Europe and the austerity-hit Mediterranean. Here the future of a SEPA in which mobile and internet payments become a pan-European reality shows promise. Even if the these countries have shown less absorption of new payments systems, their internet accessibility is increasing far more rapidly than in West European states, which start from a higher level. Moreover, the new SEPA landscape envisaged by the Commission’s paper seeks to maintain flexible governance over new entrants into the retail market, new forms of payment, and to reflect new ways in which Europeans are buying online. With Europe maintaining its position as a leader of online retail, there is no reason why the existing differences should not level out rapidly. 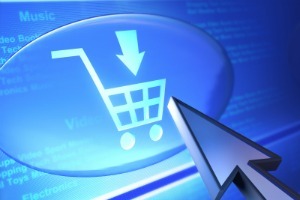 Ecommerce Europe, a trade group, says that 2013 will see a definitive break with the past as the relative share of e-commerce conducted over mobile phones and tablets – rather than conventional computers – reaches new highs. Wijnand Jongen, the executive committee chairman of Ecommerce Europe, said the buying behaviour of consumers in Europe’s largest countries was “like youngsters” in e-commerce terms, whereas in the emerging countries, “we are like toddlers learning how things work and what the opportunities are”. “Over the next five-to-ten years, e-commerce will be immersed in every part of life, consumers will adapt, and this adaptation is exponential,” Jongen said. “Innovation and entrepreneurship in e-commerce is being promoted on a European level, also through the outstanding European companies leading the way into the new era of interactive retail," said Marc Lolivier, director-general of the French E-Commerce Association FEVAD and vice president of Ecommerce. These buying opportunities, no less than technology, will play a key role in how the new SEPA landscape emerges. In the meantime the European Commission has conducted a long series of antitrust investigations in the payment card market, targeting in particular Multilateral Interchange Fees (MIFs). July 2013: European Commission expected to put forward legislative proposal for a Payment Services Directive update (PSD II), accompanied by impact assessment report.